Cast albums of celebrated new musicals Come From Away and Dear Evan Hansen as well as the acclaimed revival of Hello, Dolly! were named 2018 Grammy nominees on November 28. In an unusual change from the norm, only three albums were nominated, whereas in the past five cast recordings have typically received nods. 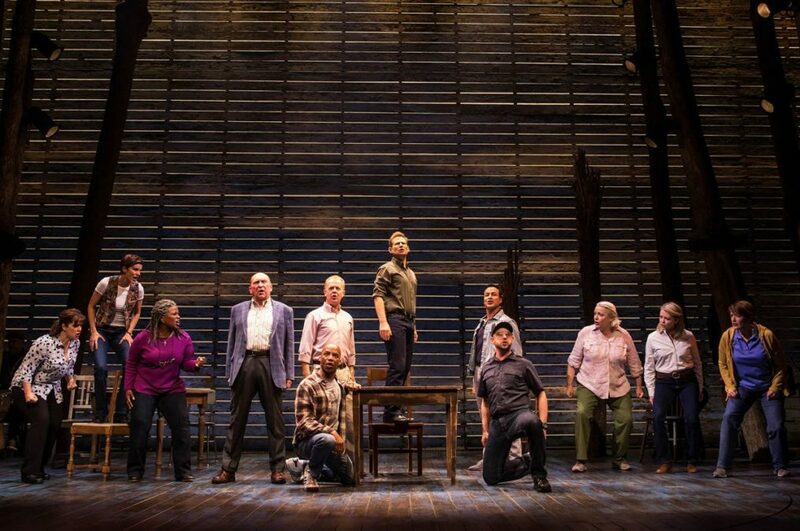 Come From Away composers David Hein and Irene Sankoff were nommed for their work along with album producers Ian Eisendrath, August Eriksmoen and David Lai. Vocalist Ben Platt was named a Grammy nominee alongside his Dear Evan Hansen composers Benj Pasek and Justin Paul; also listed as nominees for the album were orchestrator Alex Lacamoire and producer Stacey Mindich. Bette Midler was nommed as vocalist for the Hello, Dolly! revival album; album producer Steven Epstein was also named a nominee. The 2017 cast album Grammy was awarded to the Color Purple revival cast recording. Vocalists Cynthia Erivo, Jennifer Hudson and Danielle Brooks each received a Grammy as part of the win. The 60th Annual Grammy Awards ceremony is scheduled for January 28, 2018. For the complete list of Grammy nominees, click here.